Beautiful yellow Fluorite cluster with super glassy Calcite crystals. In fine condition. 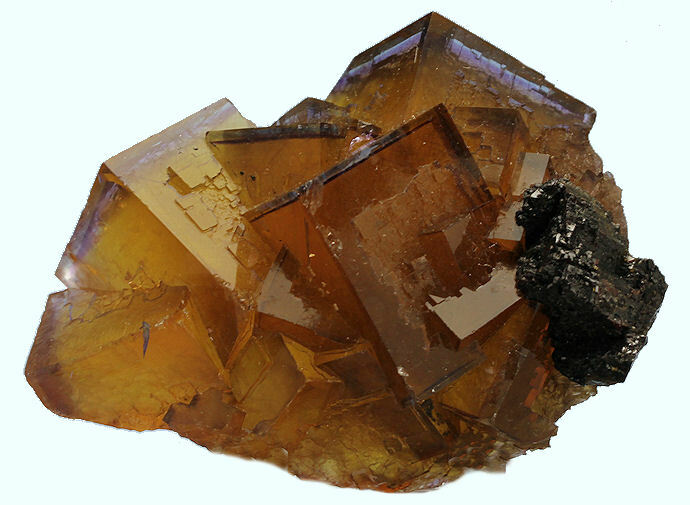 Highly translucent to gemmy crystals of burnt orange Fluorite with outer purple zoning and with Sphalerite. Very nice !! .Lavender and highly translucent Fluorite crystals, with outer purple zoning, on matrix. Quite pretty and in very good condition. Nice plate of dark purple Fluorite crystals. In good condition. Translucent to gemmy golden Fluorite crystals with light purple zoning. In very good condition. Purple Fluorite crystals with with a lustrous, yellow tinted Calcite formation. Very aesthetic. Nice yellow Fluorite crystal cluster with pale lavender outer zoning. The black areas are traces of natural bitumen. In good condition. Very pretty grape purple Fluorite crystals with nice luster from one of the lesser known Illinois mines. In fine condition. Beautiful, translucent, yellow Fluorite crystals with thin outer purple zoning. Very good condition. Very translucent Fluorite crystals with highly desired blue color. In good condition. Multi-colored Fluorite crystal cluster with the main crystal having a burnt orange center, an inner purple zone and an outer pale purple zone. 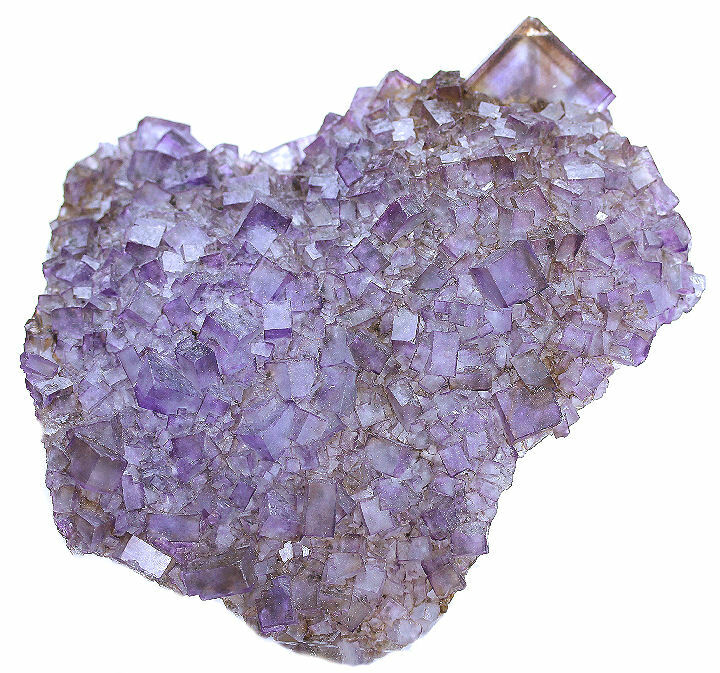 Adjacent crystals have a purple color with inner and outer purple zoning. In good condition. Plate of dark purple Fluorite adorned with several double terminate Calcites. In good condition. Burnt orange Fluorite crystals with purple outer zoning. In very good condition. Blue Fluorite crystal cluster with dark to light color hues. In good condition. Excellent cluster of yellow Fluorite crystals with light purple zoning. The spots on the surface appears to be micro-crystals of purple Fluorite. In fine condition. Very nice specimen from the lesser known Spivey Mine with dark purple outer zoning, lighter purple color below and a dark purple center. Numerous scalenohedral Calcites adorn the outer edges with a scattering on the presentation face. In very good condition. Fluorite crystal with outer blue and inner purple zones. In good condition. Pretty large plate of lavender to purle Fluorite crystals with good coverage on the opposite side. In very good condition. Multi-hued orange Fluorite crystal cluster. In good condition. Very nice cluster of stepped growth, purple Fluorite crystals. In very good condition. 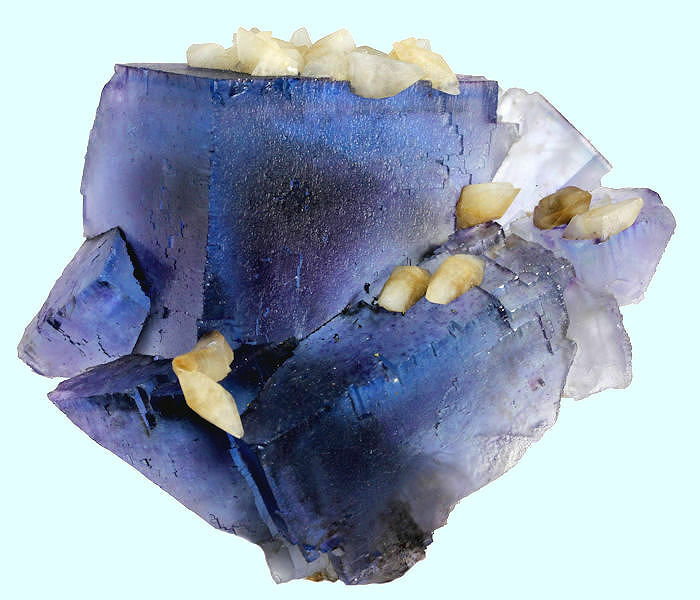 Aesthetic combination of desirable blue Fluorite crystals with rich coverage of Calcite. In very good condition. Large cabinet size cluster of dark purple Fluorite with lighter outer zones. Excellent condition. Highly translucent cluster of yellow to golden Fluorite crystals with some outer purple zoning. Beautiful cluster of large dark reddish-purple Fluorite cubes with Calcite accents.The color is almost raspberryish, but the cubes are a little too thick and the color leans towards the darker side of reddish-purple. The crystals are also spotted with darker purple spots and highlighted by tiny crystals of pearly Calcite. In excellent condition with satiny luster. A first rate Fluorite specimen ! Fine, vee-shaped formation of highly translucent beautiful blue Fluorite crystals. In fine condition. Super lustrous dark yellow Fluorite cluster with outer lavender colored zoning. In excellent condition. Zoned light rosy-purple and clear Fluorite crystal cluster with very well defined hoppered surface. There is an etched luster and presence of iron oxide typical of near surface deposits. In excellent condition. A rare specimen. Large plate of lavender Fluorite cubes formed atop a cast matrix. The back of this specimen is a concave cast, which allows light to easily pass through the Fluorite cubes - bringing out the hues of blue and purple with great aesthetic impact. In great condition. Attractive lavender to purple Fluorite crystals on a Sphalerite covered matrix from one of the lesser known Illinois mines. In very good condition. Very attractive plate of highly translucent to gemmy Fluorite crystals of light purple color with some Fluorite cubes having a burnt orange color on a Barite substrate. 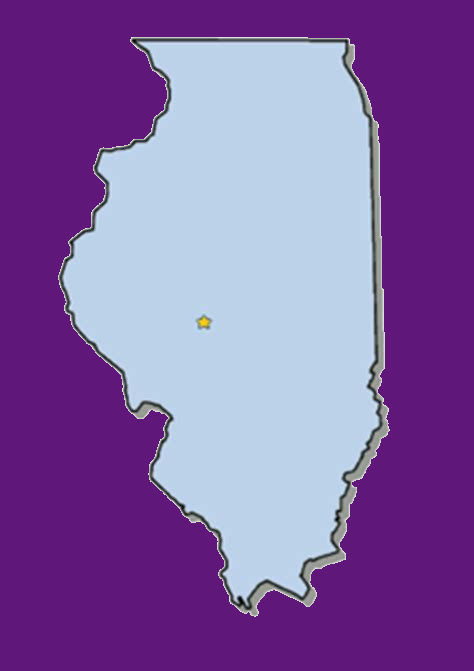 Many of the purple crystals have darker purple outer zones. In very good condition.